Rogue Farmer nabbed the runner-up position for “Purple Punch” in the Best Sungrown Indica Dominant Flower category. 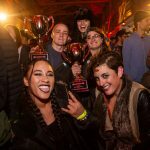 It was a post-apocalyptic Halloween party for cannabis lovers of all kinds at the 4th annual Dope Cup Awards Oct. 29 in Portland. 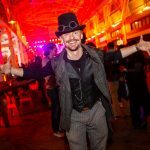 Held at Staver Locomotive, the event brought together cannabis brands around the state competing in more than 30 categories ranging from Best Distillate and Best Terpene Profile to Best Topical and Best CBD Edible. It’s a party where bongs hang suspended from gas masks, kombucha is poured from taps and given away for free (because alcohol isn’t permitted); joints and blunts are passed around generously; and cannabis companies get to mingle with their customers, rub elbows with each other and get recognized in the industry for their hard work. 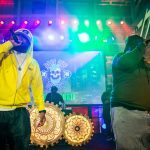 This year, Wu-Tang Clan’s Ghostface Killah was on hand to get the crowd going — even pulling up a random guy near the front of the stage to rap freestyle. 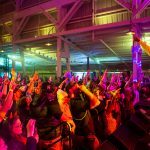 Audience engagement was at an all-time high and the awards came next, as people moved toward the stage to listen to Colby Hayden, the MC of the night and event coordinator for Dope Magazine, announce the winners. The Dope Cup is a competition, and the judging process is technical — incorporating an innovative Trichome Assurance Grade (TAG) grading process by Trichome Institute. Allen said the judges received more than 300 submissions to the contest, and only two were marked not consumable. The awards honor two places for each category — runner up and winner. “The products here are unreal,” Allen said to the cheering crowd. “Thank you so much for making the most amazing cannabis we’ve ever seen.” He then proceeded to pass out joints composed of flower that was submitted for the Dope Cup. Shady Cove’s Phantom Farms received the runner up award in two categories — Best CBD Flower, “Mighty Quinn” and Most Potent THC Flower, “Ice Cream Cake.” The farm had a booth at the event, encouraging passersby to participate in playing an oversized game of Jenga. Benson Elvis, a Jacksonville farm that has been licensed for two seasons, competed for the first time this year. It took home the winning and runner-up prize for Best Sungrown Hybrid Flower with “Animism #6” and “Josh D. OG,” respectively. The farm also won first place for the Best Sungrown Indica Dominant Flower category with its “South Fork Kush #56.” In addition, its collaboration with Echo Electuary won a runner up in the THC Wax/Budder category, and its pre-roll with Decibel Farms won runner up in the Best Infused Pre-Roll category. Alter Farms snagged the runner-up award for “Texas Butter” in the Best Sungrown Sativa Dominant Flower category. That said, she was happy about the win. Jim Belushi, who owns a 22,000-square-foot cannabis grow on his sprawling property near Eagle Point, was called up to the stage during the final few awards, treating the crowd to some famous Belushi harmonica before announcing the winners. Belushi’s Farm entered the contest in the three best sungrown categories. Though his farm didn’t take home an award that night, he was in good spirits. “Everybody knows Oregon has the greatest cannabis in the country,” he said after the event. “To be in the Dope Cup was an honor because of the legends that competed. 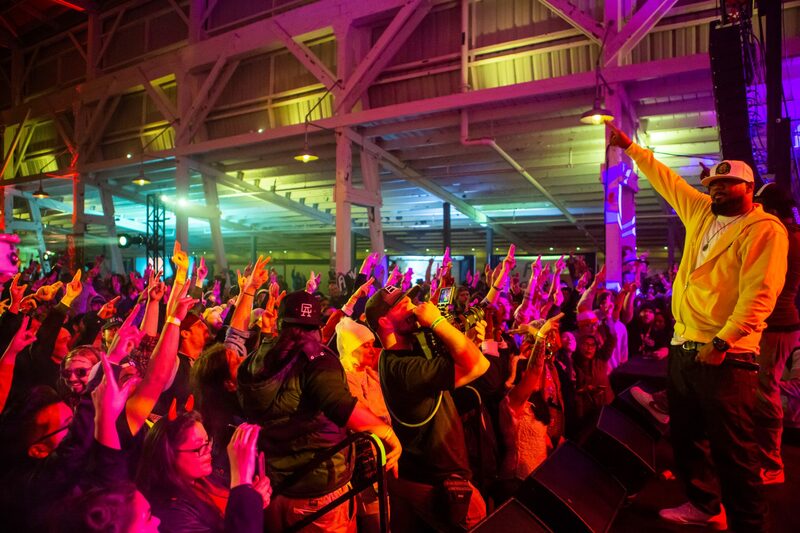 This was Belushi’s second Dope Cup — an event he describes as fun and fully engaging. 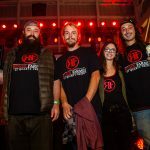 Dave Edwards, the owner and operator of High Meadows Farm, a 40-acre medical grow in Sams Valley, and co-partner of TH3 Farms, a new recreational grow that recently obtained licensing for indoor and outdoor cultivation, was there to cheer on his friends who were in the competition. It was his first Dope Cup, and he traveled up to Portland for the night to attend.